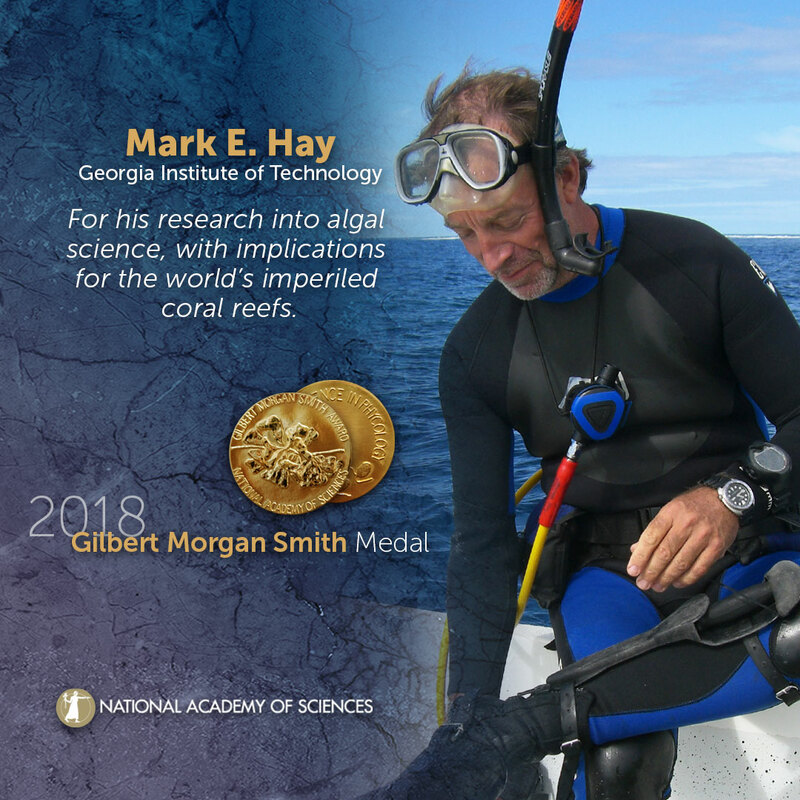 Mark E. Hay, of the School of Biological Sciences, will receive the Gilbert Morgan Smith Medal for his excellent research on algae that has implications for imperiled coral reefs. Our profile of Mark Hay in January tells the backstory of this award. Researchers have found previously known skin itch receptors in the airways of mice. The receptors appear to contribute to bronchoconstriction and airway hypersensitivity, which are hallmarks of asthma and other respiratory disorders. The experiments in mice suggest that the receptors’ activation directly aggravates airway constriction. If the same process is active in people, the receptors may be a promising new target for development of drug therapies for asthma and related disorders. In a report on the study in Nature Neuroscience, researchers say the receptors – called MrgprC11 – are present on nerve cells in the lower respiratory tracts of lab mice. “The findings give us a fuller picture of what airway reactivity looks like,” says Xinzhong Dong, Ph.D., professor of neuroscience at the Johns Hopkins University School of Medicine Institute for Basic Biomedical Sciences. Working closely with Dong was Liang Han, the paper’s first author and an assistant professor in the Georgia Tech School of Biological Sciences, where she conducted some of the reported work. Asthma patients report an itchy sensation in their lungs just prior to a full-blown asthma symptom such as wheezing. This observation inspired the research team to study “itchiness” in the airway. Using fluorescent antibodies that light up MrgprC11 in mice, the investigators observed MrgprC11 on vagus nerves, which serve as a main biochemical connection between airway cells and the brain. To explore the effects of MrgprC11 on the airway, the researchers used an itch activator that specifically targets MrgprC11 to induce a reaction. They found that mice with MrgprC11 breathed more quickly and with more effort after exposure to the itch activator than did the mice lacking it. “This result led us to the hypothesis that activation of MrgprC11 induces bronchoconstriction,” Han says. Bronchoconstriction is the constriction of the airways in the lungs due to the tightening of surrounding smooth muscle. It leads to consequent coughing, wheezing, and shortness of breath. Next, the researchers examined bronchoconstriction by measuring the airway resistance of mice with and without MrgprC11. The team saw increased airway resistance in mice with MrgprC11. “These findings highlight the critical role of vagal sensory neurons in asthma,” Han says. “They reveal a neural mechanism underlying asthma and a potential therapeutic target for treatment.” Han says. Other Georgia Tech coauthors of the study are Haley Steele, Yuyan Zhu, and Julie Wilson, who are, respectively, a Ph.D. student, a postdoctoral researcher, and a laboratory technician in Han’s lab. This research was supported by the National Institutes of Health (NS054791 & NS087088), the National Heart, Lung and Blood Instiute (112919 &122228), and by the American Asthma Foundation. School of Biological Sciences Professor Joshua Weitz wrote an opinion piece for the myAJC blog supporting the high school students who may choose to walk out on March 14 "to honor the students and staff killed in the Parkland, Fl., school shooting three weeks ago." He implores Georgia Tech to reassure students who engage in peaceful protest that their admission status will not be jeopardized. If you could rewind time and let evolution happen all over again, would the end result resemble life as we know it? This is no longer a theoretical question. 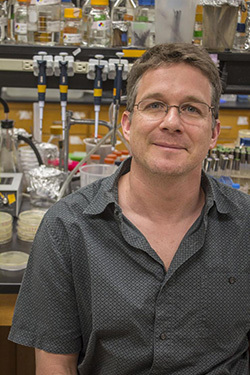 While he was at Georgia Tech, School of Biological Sciences' Eric Gaucher worked with Betul Kacar on a NASA-funded project to replay evolution again and again with the bacterium E. coli, rewinding the evolution of a specific key protein that the bacteria needed to survive. Biological Sciences doctoral student Jennifer Pentz was selected for the 2018 O'Hara Fellowship.This fellowship is presented to top doctoral students in the College of Sciences following a nomination from each of the Schools in the College. The O'Hara Fellowship includes a financial award for each semester in 2018. Jennifer’s research focuses on how early developmental programs (clonal, aggregative) affect the evolution of multicellularity. Her research advisor is Professor Will Ratcliff. 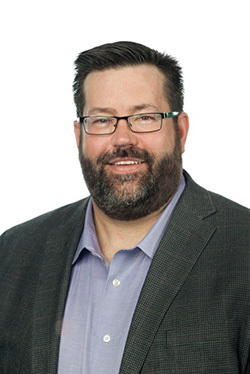 Georgia Tech has selected Troy Hilley as the recipient of the 2018 Outstanding Achievement in Research Enterprise Enhancement Award. Hilley is the Academic and Research IT Support Engineer Lead for the School of Biological Sciences (SoBiosci). The award recognizes staff members who consistently improve Georgia Tech’s research programs but are not traditional researchers themselves. 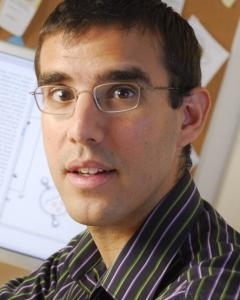 Hilley is responsible for the day-to-day operations and maintenance of faculty, research group, and administrative computing infrastructure in SoBiosci. He also acts as a critical liaison between SoBiosci, the College of Sciences, and Georgia Tech computing teams. Yet in practice, Hilley does much more. As SoBiosci grows, he has established himself as a leader in thinking creatively and acting proactively to prepare SoBiosci for the rapidly changing environment for integrative computing. “Troy is the reason we’ve managed to scale up so seamlessly,” a colleague says. According to colleagues, Hilley has been instrumental in advancing SoBiosci’s research. Relentlessly pursuing institutional effectiveness, he has gone beyond his scope of duties to help faculty build infrastructure for effective research, assist with strategic planning of computational needs, and provide timely and expert assistance to advance computation-based discoveries in the life sciences. Hilley’s advice and collaboration has enabled critical research publications, catalyzed translation of discoveries form lab to industry, and helped secure extramural funding for sustained work in SoBiosci. 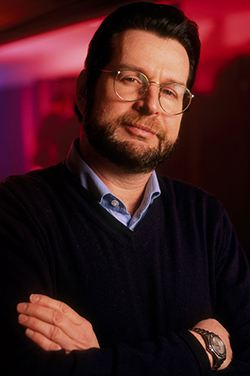 Skolnick is the Mary and Maisie Gibson Chair, the Georgia Tech Alliance Eminent Scholar in Computational Systems Biology, and a professor in the School of Biological Sciences. He is also the director of the Center for the Study of Systems Biology. In his research, Skolnick has developed algorithms to predict protein structure and function and ligand-protein interactions. Applications include drug discovery and prediction of off-target uses of already approved drugs. Skolnick pioneered the field of ligand homology modeling, using the modeling algorithm FINDSITEcomb to infer protein function, predict a protein’s binding site, and screen virtual ligands. The insights from this work has enabled use of even low-resolution protein structures in virtual ligand screening. Skolnick is applying this knowledge to find other diseases that approved drugs could treat. Drugs of interest include granisetron (Kytril), an antinausea and antiemetic agent; progesterone, a female hormone; acetaminophen, a pain reliever; and naproxen an anti-inflammatory and analgesic agent. Among diseases that existing drugs might help treat are cancer, pain, cardiovascular diseases, neurological diseases, cystic fibrosis, and diseases caused by genetic variations. Using another algorithm, Skolnick has found a way to boost the odds that disease organisms will not quickly develop resistance to an antibiotic. The algorithm identifies compounds that target two or more receptor sites on proteins that inhibit a key cellular function. To develop resistance to such drugs, microbes would have to simultaneously develop mutations in all the target receptor pockets. Simultaneous mutations would be more challenging to the bugs than developing resistance in only one receptor site. The technique has been validated for a drug-resistant Escherichia coli. Skolnick’s adventures with protein structures and functions have profound implications for the origins of life. For example, Skolnick and coworkers have shown that the ability to catalyze biochemical reactions is an intrinsic property of protein molecules, defined only by their structure and the principles of chemistry and physics. Accordingly, evolution is not necessary for the existence of proteins’ biochemical functions, although evolutionary selection may have optimized proteins for specific roles. By extension, extraterrestrial life could be ubiquitous.